HIGHLIGHTS: I’m starting deputation, beginning a courtship relationship, and generally excited for what God is doing and will do through me to fulfill HIS vision to reach this world. If you want to help me make a difference in Peru, give me a call! It’s a new year, and God sure has a lot in store for us in 2014. Remember, we know that all things work together for good to them that love God, to them that are the called according to his purpose. Trust Him with me to do great things through us this year. As I begin deputation, I’m excited to do so with the friendship and encouragement of a lovely young lady named Zulema Ramirez! Zulema is a Peruvian girl who is actively serving and reaching others in our church and studying in our Bible college, and she has a strong Christian testimony. I’ve known Zulema for many years, and over the past few months I’ve been waiting and praying …patiently… for the pieces to fall in place so I could begin this courtship relationship with her. The time has finally come, and it’s neat to reflect on how the Lord is guiding our steps. For the past year and a half, I’ve been working in Peru as a student missionary, preaching, teaching and serving in Efata Baptist Church. Now it’s time for me to raise the support I’ll need to return to the field on a more permanent basis. I’m in the US now, and I’m actively scheduling meetings with churches. I would love to share the vision God has laid on my heart with your church, so if you’d like me to come by your church, don’t hesitate to email me or call me at (904) 335-8563. I look forward to getting back to the field as soon as possible. For January and part of February, my entire family is in the states preparing for my sister Julianne’s wedding on February 7th. She is the first of my siblings to be married, and I’m excited for her! 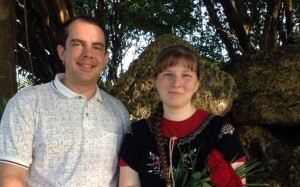 Please pray for her and her fiancé, Frank Miller of Southwest Florida. On the 9th, my family flies back to Peru, and I will head north for several weeks. While I’m here in the States, I have a number of ministry opportunities I’m excited about. I’m excited about preaching and sharing my testimony in local churches, and I’ve enjoyed participating in revival services at Emmanuel Baptist in Fort Myers, visiting and filling in on the piano. There’s been some great preaching this week. May my heart ever remain sensitive to the work of the Spirit of God in my heart under the preaching of His Word! Another opportunity has been on my heart for a while. Last year as I taught sixth grade at our school in Lima, the scarcity of solid Biblical teaching for the deaf in the provinces of Peru really came home to me. 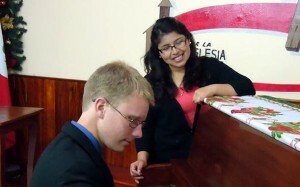 Kevin, one of my brightest students, was baptized last year, and he has been learning and growing. 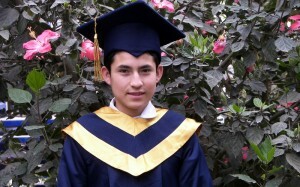 Toward the end of the year, we realized that due to financial constraints he would probably remain with his family in the city of Ayacucho. 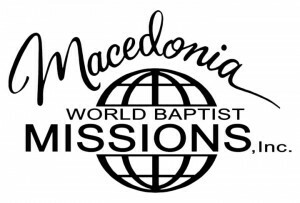 While Kevin was in our school, he could attend Efata Baptist Church and be fed spiritually. However, back in Ayacucho, there is currently no church preaching spiritual truth in his language. It’s difficult to see a young Christian go home, knowing that there is NO spiritual support for him there. Know that I am praying for you, and I thank you for your prayers for me. God bless!